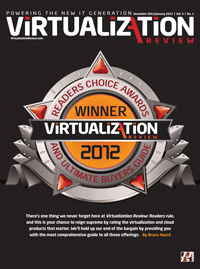 The readers of Virtualization Magazine have voted for the 2012 Reader’s Choice awards and I am proud to announce that TrainSignal’s video training has been selected at the WINNER of the BEST Virtualization training, even beating out classroom training. 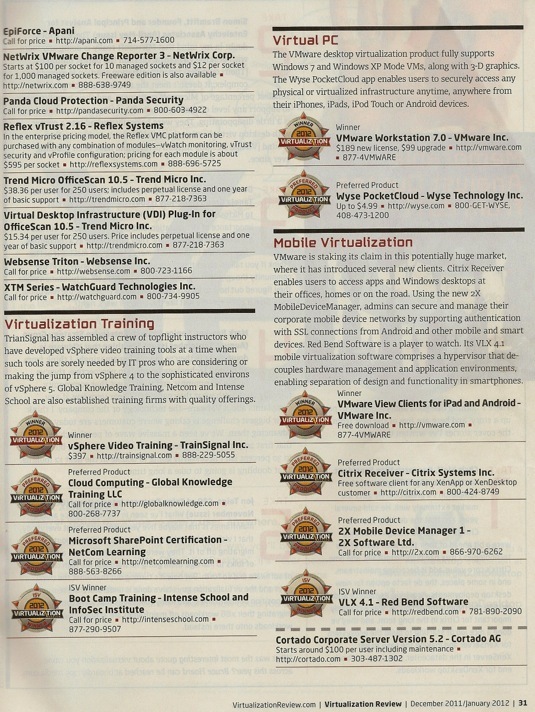 Readers said that TrainSignal’s virtualization training was the best value, offered a wide variety of topics, and provided a line up of top instructors. BIG THANK YOU to all those who voted for us and THANK YOU to our values customers! Stay tuned for more virtualization training from TrainSignal including courses like SRM 5, View 5, vSphere Advanced Networking, Cisco Nexus 1000V, Cisco UCS, and vCloud Director. 2012 is going to be a great year! Here’s a scan of page 31, where we come out on top!